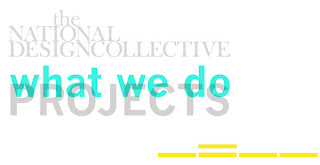 The National Design Collective: New Website and Product Launch! New Website and Product Launch! the National Design Collective would like to officially announce that our new website is live at thenationaldesigncollective.ca! The best news of all however is that we are officially launching our first product, titled the M3/M4 rings which can be found here. In the next week we will be trying to merge the blog with the website. Because of our technological illiteracy, there may be some down time on the blog. Sorry.